Take 42% off the entire book. Just enter code sswise into the discount code box at checkout at manning.com. 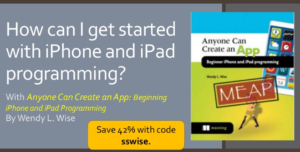 Get started programming, no experience necessary! 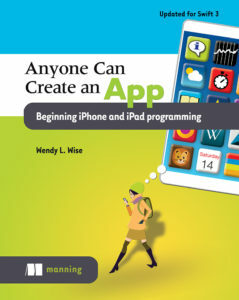 By the end, you’ll be able to create and run your own apps, and you’ll have the confidence to learn more on your own. The book is updated for Swift 3. Find out more in the slide deck below.